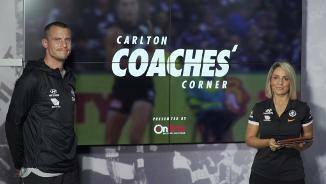 Tony Moclair and Tony De Bolfo review the Blues performance ahead of Round 4. 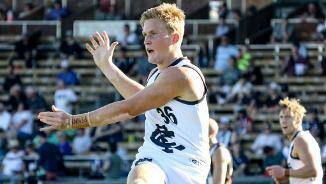 After a four-goal haul for the Northern Blues, Pat Kerr says he's learning a "whole lot" in his second season. 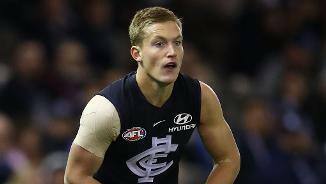 After nearly eight months out of the game, young forward Pat Kerr made a successful return from injury via the Northern Blues yesterday. A long-term prospect to be sure, big Pat Kerr, with his overhead marking prowess and physical presence up front, has plenty to offer the club for which his late grandfather Laurie so capably represented and for whom his grandmother Vivienne commands No.1 female ticketholder status. 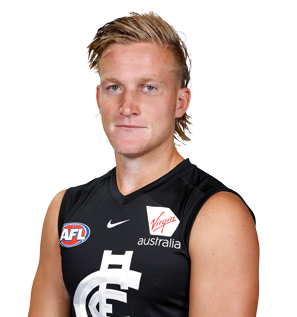 Draft history: 2016 NAB AFL Draft 4th round selection (Carlton) No.65 overall.